Having a carnival themed event? 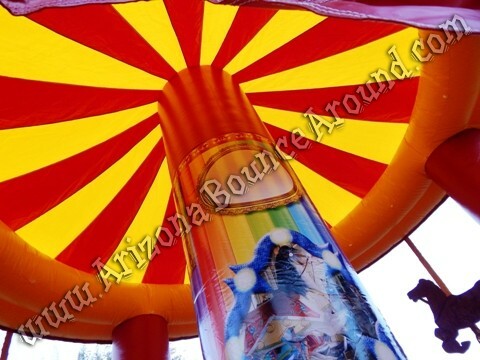 Our massive 20 foot wide 20 foot tall Inflatable Carousel is sure to please. 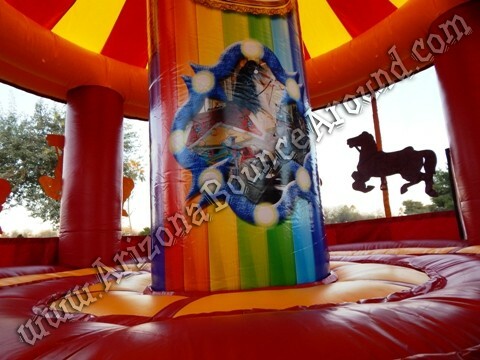 This Carousel Bounce House will be the centerpiece at any carnival themed event and holds lots of children at one time so rent one today! Having a carnival themed event? 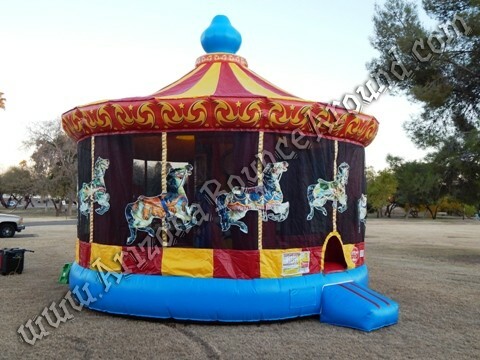 Our massive 20 foot wide 20 foot tall Inflatable Carousel will be sure to please. 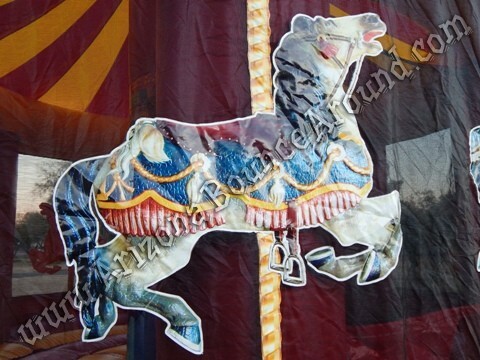 This Inflatable Carousel will be the centerpiece at any carnival themed party or event and hold lots of children. 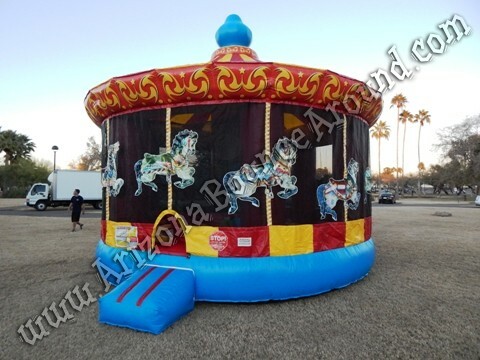 We also rent Carousels for carnivals and events. 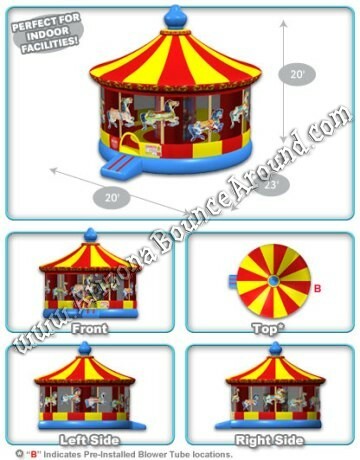 This Carousel features artwork inside and out complete with Carousel horses all around the outside and the striped top makes it look like a circus tent all in one inflatable design. Be sure to check out our 22 foot tall 6 lane carnival slide. 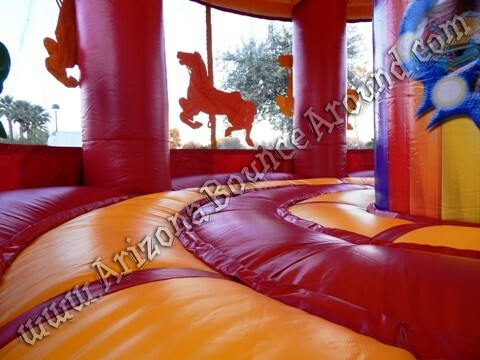 We have a full selection of carnival rides and carnival games to go with this carnival themed Bounce House.